There is a new ordinance for work-site utility vehicles, also known as UTVs. This new ordinance goes into effect on January 3rd, 2017. In order to legally operate a UTV on the city streets, a tag and inspection will be required. The cost for the tag and inspection is $25. Inspections will be at 720 Armory Rd by appointment only. 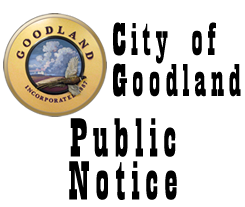 Contact the Goodland Police Department to make an appointment to have your vehicle inspected. Take your MUV, as well as proof of insurance, to the police department for inspection. Pay the annual registration fee of $25. The registration plate must be displayed on the UTV/MUV at all times that it is operated on any street in the city. *In lieu of these items, googles, a helmet with face shield, or other eye protection is required by State law. The ordinance is available <<HERE>>. A copy of the ordinance may also be obtained from the Goodland Police Dept. Additional questions? Please contact us @ 785-890-4570 or use the contact form below.